Antony Cook is Microsoft’s Associate General Counsel for Corporate, External and Legal Affairs (CELA) for Asia. Antony leads a multi-disciplinary team of 70 professionals that is responsible for providing legal and compliance support to business groups operating in the region; industry, community and government affairs counsel to Microsoft’s in-country operations; and support for digital security, intellectual property and data protection issues. Antony joined Microsoft in 2002 in Sydney leading the legal support for Microsoft’s businesses in Australia and New Zealand. Antony moved to Singapore in early 2006, initially working as the Regional Director for Public Sector support in Asia Pacific before taking responsibility for the CELA team for Microsoft’s businesses in South East Asia in July 2007. Antony moved to Istanbul in December 2010 to build and manage the CELA team in the Middle East and Africa and held that position until 1 August 2017 when he returned to Singapore and his current role. Prior to joining Microsoft, Antony had responsibility for business development and operational functions across Asia and Europe as Head of Business Affairs for BT LookSmart. Antony also worked for four years with the law firm Freshfields Bruckhaus Deringer as a Senior Associate in their Hong Kong office specialising in telecom and IT transactions across Asia. Antony started his career at Moore & Bevins (now K&L Gates), a Sydney-based full service commercial law firm. Antony graduated from the University of New South Wales in Sydney with a Bachelor of Commerce (with commendation) and a Bachelor of Laws. Antony is admitted as a Solicitor to the Supreme Court of New South Wales, the Federal Court of Australia and the High Court of Australia. 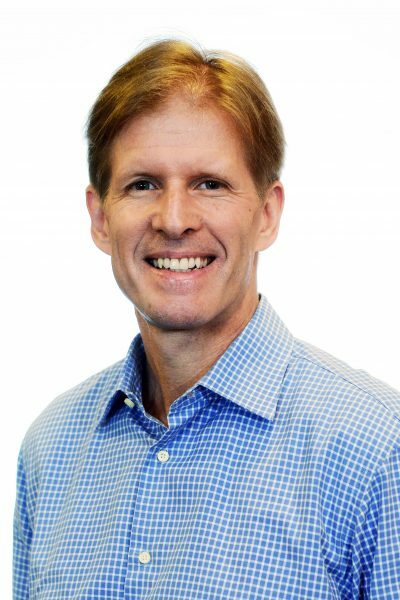 Jeff Bullwinkel serves as Microsoft’s Associate General Counsel and Regional Director of Corporate, External & Legal Affairs for Europe. He is based in Amsterdam and oversees the company’s legal and corporate affairs teams across the region, providing support for commercial transactions and regulatory counsel on public policy issues such as IPR, cybersecurity, competition, and international trade. Mr Bullwinkel joined Microsoft in 2000 and previously held a number of senior roles with the company across the Asia Pacific region, based in Hong Kong, Singapore and Sydney. Prior to joining Microsoft, Mr Bullwinkel was with Simpson Thacher & Bartlett, an international law firm based in New York. Mr Bullwinkel also served as a federal prosecutor with the Office of International Affairs, Criminal Division, US Department of Justice, where he was responsible for a wide range of matters relating to international law. Kap – You (Kevin) Kim is a senior partner of Bae, Kim & Lee LLC and head of the International Arbitration & Litigation Practice Group. Kevin is a Vice President of the ICC Court and Governing Board Member and Co-Chair of Audit Committee of the International Council for Commercial Arbitration (ICCA). He also serves in a number of other prominent positions, including as a member of the Panel of Arbitrators of ICSID, and an Editorial Board Member of the Global Arbitration Review. He also served as Secretary General of the ICCA from 2010 to 2014, a Court Member at the LCIA Court from 2007 to 2012 and Vice Chair of the IBA Arbitration Committee from 2008 to 2010. Domestically, He is a Chair of the KCAB International Committee, President of the ICC Korea Arbitration Committee and Vice president of the Korea Arbitrators Association. He also served as inaugural Secretary General of the Seoul International Dispute Resolution Center (Seoul IDRC) from 2012 to 2014, President of the Korean Council for International Arbitration (KOCIA) from 2012 to 2014. He has acted as counsel, presiding arbitrator, co-arbitrator or sole arbitrator in more than 300 cases of international arbitrations under various rules including ICC, LCIA, AAA (ICDR), SIAC, HKIAC, LMAA, JCAA, UNCITRAL and KCAB for 30 years. As the Chief Executive Officer of the Singapore International Arbitration Centre (SIAC), Seok Hui is responsible for the overall management and operations of SIAC, including business development. She formerly practised in Singapore and Hong Kong SAR as a corporate and M&A lawyer with international as well as Singapore law firms, and has also held General Counsel positions in various multinational corporations. She is called to the Singapore Bar and the Bar of England & Wales, and is also admitted as a solicitor in England & Wales and Hong Kong SAR. 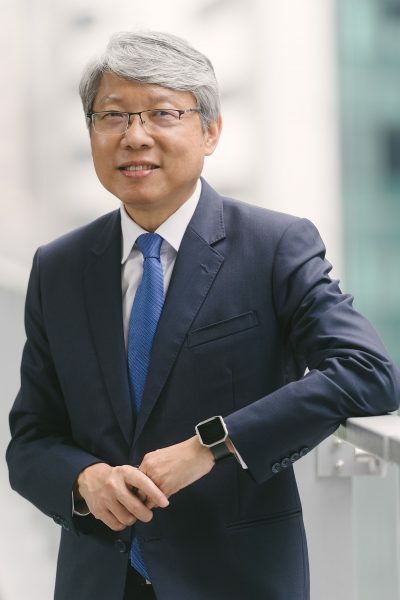 Seok Hui previously held a concurrent role as the first Chief Executive Officer of the Singapore International Mediation Centre (SIMC), and currently sits on the Board of Directors of SIMC. Vi Ming is the Managing Director of LVM Law Chambers LLC. He was appointed a Senior Counsel in 2005 and was President of the Law Society of Singapore in 2013 and 2014. Vi Ming is recognised as one of the leading aviation and insurance lawyers in Singapore. He is cited in numerous leading legal directories including Chambers, The Legal 500, The International Who’s Who of Aviation Lawyers and Insurance Lawyers, and in Euromoney Legal Media’s Guide to the World’s Leading Aviation and the World’s Leading Insurance & Reinsurance Lawyers. In its 2017 Edition, Chambers listed him as a leading litigation with a ‘solid reputation’ in aviation and insurance litigation with “very sound understanding of legal complexities”. He is active as arbitrator and mediator for both international as well as domestic disputes. Vi Ming is listed as arbitrator on the panels of numerous arbitration centres and is a mediator on the panels of both the Singapore Mediation Centre and the Singapore International Mediation Centre. He is presently, amongst other appointments, the Vice Chairman of SIMC and is also a Member of the Board of Trustees of the Singapore University of Social Sciences. Professor Lawrence Boo heads The Arbitration Chambers and has done so since its founding in 1996. Formerly the Deputy Chairman and first Chief Executive Officer and Registrar of the Singapore International Arbitration Centre (SIAC), Prof Boo is well recognised as Singapore’s leading international arbitrator, having sat as arbitrator in more than 200 cases and written numerous awards. Prof Boo is also a well-regarded mediator and has mediated over 75 disputes. He is a principal mediator with the Singapore Mediation Centre and is certified by the International Mediation Institute. Prof Boo sits on the Panel of International Arbitrators and Mediators of the American Arbitration Association (AAA) New York, the China International Economic and Trade Arbitration Commission (CIETAC), the China Maritime Arbitration Commission (CMAC), the Beijing Arbitration Commission (BAC), the Korean Commercial Arbitration Board (KCAB), the Kuala Lumpur Regional Centre for Arbitration (KLRCA) and the Hong Kong International Arbitration Centre (HKIAC). Prof Boo has written extensively on alternative dispute resolution and is the author of Halsbury’s Laws of Singapore Volume 2 – Arbitration (Lexis-Nexis 1998, 2003 and 2007 Re-issue) and the chapter on Singapore in the book International Handbook on Commercial Arbitration (Kluwer 1996, 2002 and 2011 Supplements). Mr George Lim is the Chairman of the Board of Directors of the SIMC. Mr Lim received his training in mediation at CEDR, UK and Harvard Law School. He is a certified mediator with the International Mediation Institute. In 1997, Mr Lim helped to set up the Singapore Mediation Centre (SMC). He conducts mediations regularly at the SMC, and has successfully mediated many complex commercial and cross-border disputes. Mr Lim served as the first Chairman of the Asian Mediation Association (2009-10). In 2011, he was appointed to the Board of the IMI, an international body which promotes professionalism in mediation. Mr Lim is the co-editor of Mediation in Singapore: A Practical Guide. In 2016, he was identified by The International Who’s Who of Commercial Mediation as being among 341 of the world’s leading commercial mediators. In its Legal Market Place Analysis 2016, Who’s Who commented that George was “widely respected among peers for his ability to take the initiative and steer a mediation towards a successful outcome”. Ms Ng Chai Ngee (Chai) is a member of the Board of Directors of the Singapore International Mediation Centre. Chai is an Accredited Mediator of CEDR, HKMAAL and Regent’s University London, an Associate Mediator and a Family Mediator of the Singapore Mediation Centre. Chai holds a law degree from the National University of Singapore and was admitted as Advocate & Solicitor, Singapore in 1984, and as Solicitor in England & Wales and Hong Kong in 1994. After several years in practice, and serving as Chief Executive Officer of the Singapore Law Society, Chai headed to Hong Kong in 1991 to join the Kuok Group. Chai’s career with the Kuok Group spanned more than 25 years where she served in various roles, including as corporate counsel, director of various companies within the Group and most recently in a business advisory role, supporting the Group’s businesses in the People’s Republic of China with primary focus on the real estate and hospitality sectors. Chai is effectively bilingual and has experience conducting mediations in both the English and Chinese languages in the Singapore International Mediation Centre, Singapore Mediation Centre and the State Courts as Court appointed Volunteer Mediator. CHOW KOK FONG is a Chartered Arbitrator and currently practises as a mediator, arbitrator and adjudicator. He was previously CEO of Changi Airports International and of the Construction Industry Development Board and has held many other senior appointments with several large real estate and construction companies. During his career in the real estate sector, his projects garnered 17 awards, including the FIABCI Prix d’Excellence; while during his tenure at Changi Airports International, his team was conferred the accolade Airport Investor of the Year 2008. He has authored 18 books including the two-volume work Law and Practice of Construction Contracts (now in its 5th edition 2018) and Security of Payments and Construction Adjudication (1st and 2nd editions). On 1 November 2013, he was awarded the quinquennial Singapore Academy of Law Award 2013 for contributions in promoting and advancing the development of Singapore law. In 2018, he was conferred a National Day Award for services to the Singapore Academy of Law. Mr Han Kok Juan was appointed Deputy Secretary of the Ministry of Law on 1 November 2015. He helps oversee the ministry’s work in advancing the rule of law, improving access to justice, developing the legal industry, and administering Singapore’s land and intellectual property policies. Mr Han is also a Board member of the Singapore Land Authority, the Intellectual Property Office of Singapore, the Singapore International Mediation Institute Ltd, the Singapore International Dispute Resolution Academy, the Maxwell Chambers Pte Ltd, the Maxwell Arbitration Holdings Ltd, the Community Justice Centre and the SAL Ventures Ltd.
Mr Viswa Sadasivan is Chief Executive Officer of Strategic Moves, a strategic and crisis communications consulting practice with a special interest in policy issues. Over the last two decades, he has coached thousands of top executives from Fortune 500 companies to government and quasi-government agencies on corporate strategy, issues management and engagement. A veteran current affairs and news anchor, Viswa has directed coverage of Parliamentary reports and General Elections in Singapore. He served a full term as a Nominated Member of Parliament in Singapore (2009 – 2011). A thought leader, seasoned speaker and expert moderator on the subject of crisis management and communication, Viswa continues to consult for multinationals and government. He has a Master in Public Administration (MPA) degree from the Kennedy School of Government and Administration, Harvard University, winning top honours in Negotiation and Conflict Resolution. Viswa is presently a principal mediator with the Singapore Mediation Centre, having served as mediator since its inception in 1997. He held several board appointments in the public sector (SPRING Singapore, Media Development Authority, Feedback Unit’s Supervisory Panel) and is on the Board of Trustees, Singapore Indian Development Association (SINDA). He has actively served on major national committees on economic and policy matters. Viswa is Deputy Director, Joint Operations, Singapore Armed Forces (SAF) in his National Service capacity, and held the rank of Colonel. He is the founder of IQ (Inconvenient Questions), a sociopolitical site that strives to be the conduit for honest engagement between stakeholders and the government in Singapore. Mr Davinder Singh is the Executive Chairman of Davinder Singh Chambers LLC. Mr Singh’s legal experience spans three decades. He was in the first batch of Senior Counsel appointed by the Singapore Supreme Court in 1997. Mr Singh has litigated cases in almost every area of the law, including numerous landmark cases. He is highly regarded as a dispute resolution specialist in Singapore and Asia, having been recognized time and time again as a top litigator and arbitration counsel by various local and international legal publications. In 2014, Mr Singh received the prestigious “Outstanding Contribution to the Legal Profession” award from Chambers & Partners. This award was given to only two individuals in 2014 for their exceptional achievements and significant impact on their market, across the region and internationally. Mr Singh has also been ranked by Chambers & Partners as the only “Star Individual” in Dispute Resolution (Singapore), a category above Band 1, for 9 consecutive years (from 2011 to 2019). Mr Singh was named “Dispute Resolution Lawyer of the Year” by Asian Legal Business as part of its SE Asia Law Awards 2018. Mr Singh was also named “Disputes Lawyer of the Year” for Southeast Asia and India at the inaugural The Asian Lawyer Emerging Markets Awards 2014 and clinched the “Disputes Star of the Year – Singapore” award at the inaugural Asialaw Asia-Pacific Dispute Resolution Awards 2015. Mr Singh is the Chairman of the Board of Directors of Singapore International Arbitration Centre (SIAC) and also sits on the Board of Directors of PSA International Pte Ltd and Delfi Limited. Adeline Sim is the Executive Director and Chief Legal Officer of HRnetGroup Limited. She leads strategic and tactical initiatives, and is a member of the Investment Committee identifying and executing acquisitions. Adeline also oversees the technology, digital marketing, investor relations and communications functions of the Group. In her role as Chief Legal Officer, Adeline provides counsel and guidance on legal matters across 30 business units in 13 Asian cities. Adeline began her career as a lawyer with Drew & Napier LLC in 2004 where she was engaged in dispute resolution and capital markets work. She left the firm in 2008 to join HRnetGroup. Adeline graduated with a Bachelor of Laws from the National University of Singapore in 2003. She was admitted to the Singapore Bar in 2004, and as a Solicitor of the Supreme Court of England and Wales in 2006.